Congratulations to the 2013 Class of India-Pakistan Regional Young Leaders! On September 27-29, 2013, Asia Society’s twelve IPRYLI fellows (five each from India and Pakistan, two from the United States) participated in a three day forum in Islamabad, where they discussed areas of cooperation/collaboration, planned their fellowship year, and developed a cross-border public-service-project for their class. Aaysha Amaan is Chief Executive Officer & Managing Director of the Aaryans Group and Chief Operating Officer of the Aaryan Foundation. She was born in a desert village of Rajasthan called Pirawa of Jhalawar district, which is notorious for child marriages and parental biases against girls. At the age of 14, Aaysha ran away and went into hiding when she found out that her marriage had been arranged. With the help from her distant relatives, she completed her studies while staying out of touch with her parents for an extended period of time. She went on to earn an MBA before setting up a business of her own in real estate. Ten years later when she reconnected with her parents she had a sizeable business of her own, currently worth Rs. 200 crores. Aaysha’s story of unusual success not only changed her parents’ thinking but also inspired her relatives and fellow villagers to reject biases against girls and women. Having demonstrated her business acumen, Aaysha is sharing part of her success with disadvantaged children and youths. The Aaryan Foundation, a corporate social responsibility arm of Aaryans Group, is engaged in supporting the education of disadvantaged youth and underprivileged children. Aaysha was presented with the Indian Achievers Award in 2010 and the Women Leaders of India Award in 2011 for social work she has done in her personal capacity and through the Aaryan Foundation. Samar Ata-Ullah combines very specific professional training with over a decade’s work experience in new and traditional media across cultures and continents. Currently, a freelance media management consultant, Samar has been a Supervising Producer on Sim Sim Hamara an educational project in collaboration with Sesame Street Workshop, New York. Prior to that, she worked as a Senior Producer with Express News & Express 24/7, a private television network. Samar also coordinated the restructuring of the online edition of DAWN, Pakistan’s premier English language newspaper. In addition, she has executed projects for BBCUrdu.com, New Delhi Television (NDTV), the World Bank, and AGHS Legal Aid Cell. Samar has a Bachelor’s degree in Fine Arts from the National College of Arts, Lahore, a Diploma in New Media from the Vancouver Film School, and a Master’s degree in Audio Visual Production from London Metropolitan University. Donya Aziz is a former member of the Parliament of Pakistan. She was first elected to Parliament in 2002. During her first tenure in Parliament, Donya was one of the youngest members and was appointed as the Parliamentary Secretary for the Ministry of Population Welfare where she pursued her interest in advocacy for reproductive health. In addition to serving on various committees during her last tenure, Donya also served as Parliament’s representative on the Pakistan Medical and Dental Council as well as on the Pakistan Nursing Council. She was re-elected in 2008. Donya served as a member of the working council of the Women’s Parliamentary Caucus, and as President of the Young Parliamentarian’s Forum. She currently serves on the Executive Board of Parliamentarians for Global Action and is a member of GOPAC Parliamentary Oversight Global Task Force. She is also the Chair of GOPAC’s Women in Parliament Network. Yasser Hamdani is a lawyer practicing mainly, though not exclusively, in the area of human rights, especially minorities’ rights, access to information and freedom of speech. To this end, he has been involved in several key petitions, including the petition to restore Youtube in Pakistan which is pending adjudication before the Lahore High Court, a successful petition to restore blackberry services in Pakistan, and a petition for the rights of Newspaper Employees which is now a reported judgment. Yasser also writes a regular weekly column for Daily Times and occasional op-eds for Express Tribune, Dawn, and the Friday Times, in addition to being a prolific blogger and the co-editor of Pakistan’s leading current affairs blog, www.pakteahouse.com. Additionally, he has also authored a book titled “Jinnah Myth and Reality,” published by Vanguard Publications. Yasser is an active member of the civil society and works closely with organizations such as Institute of Peace and Secular Studies, Bytes for All and Insaf Network Pakistan, which strives for social justice, equality and human rights in Pakistan. Sarah Husain was born in New York City and grew up in Hong Kong, Sudan and Pakistan. She is the editor of “Voices of Resistance: Muslim Women on War, Faith and Sexuality.” Her written and performance poetry is concerned with memory, nation, violence, bioterrorism and the female body. As an activist and artist she has worked with communities of color on issues of immigrant rights, access to public higher education and grassroots anti violence projects in the Muslim, Arab and South Asian communities. Over the recent years both her writing and activism has made active interventions on current discourses of gender, sexuality, and violence as it relates to “Muslim” women in the US. Her poetry career began on the spoken word stages of Staten Island and Manhattan. She has read and performed her work in venues across the country. From Abrons Arts Center; Henry Street Settlement; the Bowery Poetry Club; Brooklyn Museum; Lincoln Center; the Lower East Side Tenement Museum; Nuyorican Poet’s Cafe; and Queens Museum of Art, among other spaces. 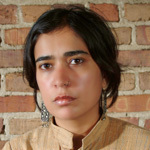 Her work has been supported by the Joyce Foundation, Poets & Writers, the Chicago Guild and South Asian Women’s Creative Collective and she was a recipient of Hedgebrook writer’s residency. Rohit Kumar currently heads the policy team at the office of Mr. Baijayant ‘Jay’ Panda, Member of Parliament of India (MP). In the past year, he has led the team to draft several important Private Members’ Bills including those to decriminalize politics in India, strengthen public prosecution, uphold freedom of speech and eliminate the menace of female foeticide. 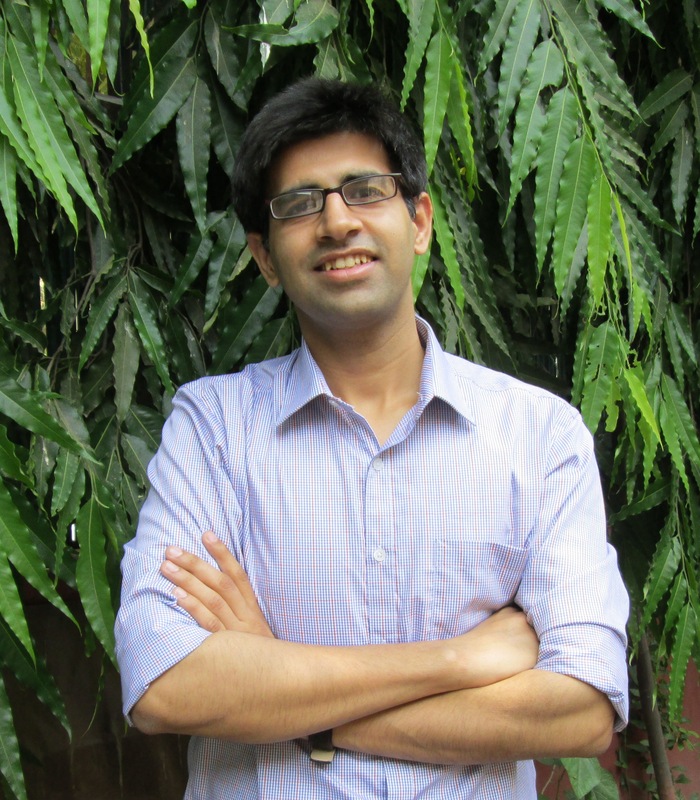 Prior to this, Rohit worked for three years with PRS Legislative Research, the Indian think-tank that supports MPs across party lines with non-partisan research on legislative and policy issues. In addition to analyzing Government Bills and Budgets, he led the initiative within PRS to extend research support to State Legislators. Rohit also conceptualized and developed the PRS ‘MP Track’, the primary database used by citizens and media to track participation of MPs in Parliament. He previously worked with the international consulting firm, BCG (The Boston Consulting Group) as a management consultant where he was involved in strategy and implementation projects across sectors such as telecom, education, non-life insurance and industrial goods. He holds a B. Tech and a M.Tech degree from the Indian Institute of Technology (IIT) Bombay. He was active in student politics and was elected to the highest student office. As the General Secretary, Academic Affairs he also represented the student body in the institute Senate. He was awarded the ‘Institute Torch Bearer’ in 2007. 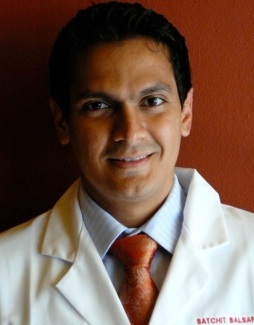 Tridivesh Singh Maini is an Independent Writer and Columnist. He is a regular contributor to newspapers, including The Financial World, (New Delhi), Millenium Post (New Delhi), and The Friday Times (Lahore). He has worked earlier with The Observer Research Foundation, New Delhi; Institute of South Asian Studies, Singapore; and The Indian Express, New Delhi. Tridivesh authored South Asian Cooperation and the Role of the Punjabs, and co-authored “Humanity Amidst Insanity: Hope During and After the Indo-Pak Partition” with Tahir Malik and Ali Farooq Malik. He is also one of the editors of “Warriors after War: Indian and Pakistani Retired Military Leaders Reflect on Relations between the Two countries, Past Present and Future,” published by Peter Lang (2011). Priti Radhakrishnan is Co-Founder and Director of Treatment Access of I-MAK. Priti obtained her B.A. in Political Science from U.C. Berkeley (1999) and her law degree from New York University (NYU) School of Law (2002) and has worked as a health attorney in the U.S., Switzerland and India. 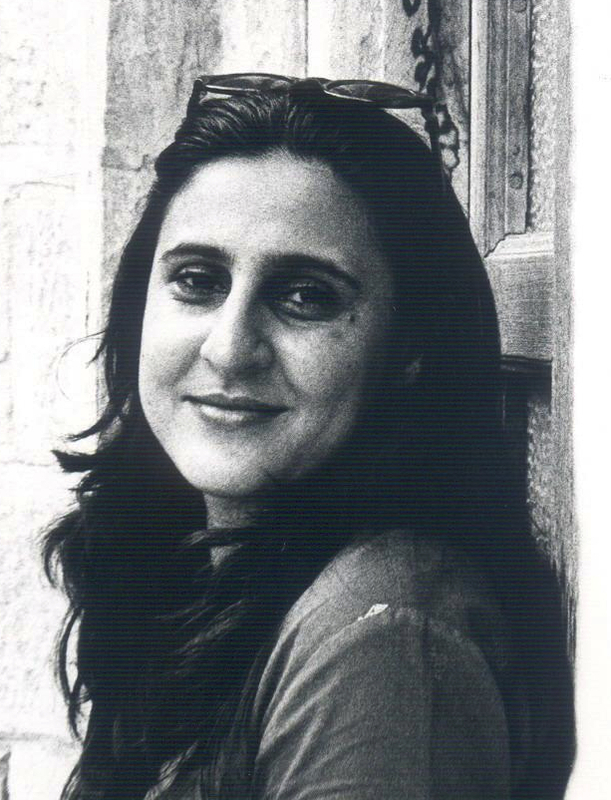 Prior to founding I-MAK, Priti served as the Senior Project Officer of the Lawyers Collective HIV/AIDS Unit in India. She also coordinated the efforts of TEAM VINAY- a movement that registered 25,000 new bone marrow donors in the South Asian American community, which received the National Marrow Donor Program’s Lieutenant General Frank E. Peterson Jr. award for innovation and commitment to minority recruitment & retention of bone marrow donors. In 2008, Priti was awarded the Echoing Green Fellowship for social entrepreneurs and the Pop!Tech Social Innovation Fellowship. She is also a fellow of 2009 Class of Asia 21 Fellows and an Associate Fellow of the Asia Society. Priti’s other recognitions include Black, Latino, Asian Pacific American NYU Law Association’s Young Alumni Award (2010); Honoree of the NYU Law Women of Color Collective (2010); the South Asian Bar Association of New York’s Legal Trailblazer Award (2012); the National South Asian Bar Association’s Public Interest Achievement Award (2013). She was also named to the Good 100, a selection of the 100 most innovative individuals changing the world. Mehmal Sarfraz is the regional Deputy Secretary General South Asian Free Media Association (SAFMA), an associated media body of SAARC and Joint General Secretary of South Asian Women in Media (SAWM), a platform committed to fight gender-based violence and promote women’s rights in SAARC countries. 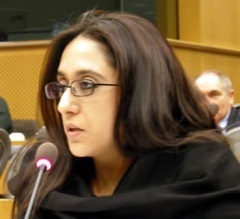 Previously, she has worked as the Executive Director of Vanguard Books, The Friday Times and Good Times magazine, as the lead analyst in a project on child rights violations with the Human Rights Commission of Pakistan (HRCP) and UNICEF, as the Op-Ed Editor of Daily Times, a liberal national English daily, as Programmes Officer/Principal Information Officer at SAFMA, as Deputy Editor of The Post, a national English daily and taught at Blessing Home School before she ventured into journalism. Mehmal’s editorials, columns, analyses, and news reports have mainly focused on highlighting religious extremism in Pakistan, terrorism, women’s rights, minority rights, peace in the region, inter-faith harmony, media freedom, reporting in conflict zones, Pak-Afghan relations, Pak-US relations, Indo-Pak relations, foreign policy, social issues, and politics. Saba Shaikh currently works as Director Advocacy and Networking of Dastak, a charitable trust running a shelter for women in Lahore, Pakistan. She is extensively involved in expanding the network base of Dastak and advocating for the protection needs of women suffering from gender based violence in the country. Previously Saba worked as the coordinator for a child rights project at AGHS Legal Aid Cell. Saba helped build and develop the project towards a wider institutional base. She has also worked as a research associate at Lahore University of Management Sciences where she undertook research on international law issues. Saba also undertakes independent research projects/consultations. More recently she was part of the team conducting Child Protection Mapping and Assessment Exercise (a UNICEF project) in Punjab. Saba has also conducted two research studies for South Asians for Human Rights (SAHR), a regional human rights organization, on minority rights and emergency laws of Pakistan. Additionally, she regularly writes the child rights chapter of Human Rights Commission of Pakistan’s Annual Report on the State of Human Rights in Pakistan. 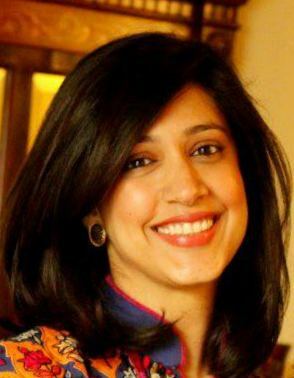 In 2012, Saba was selected as one of the 15 fellows of the Emerging Leaders of Pakistan Program (ELP) launched by the South Asia Center, Atlantic Council, U.S. The program is aimed at creating an in-person and online networking forum of engagement and collaboration for civil society leaders from Pakistan to discuss and make an impact on issues such as democracy and Islam, human rights, economic development, and governance. This year she has been identified as a finalist for the highly competitive one-year Atlas Corps Fellowship in the U.S. (she has deferred consideration for fellowship placement till next year to serve as an IPYLI fellow). Saba has a University of London LLB degree (international program) and Masters in Public Policy from Forman Christian College, Pakistan.